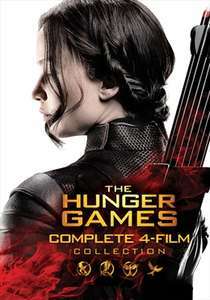 All four Hunger Games films in HD for less than £6. Heat added. £10.99 with DVDs. Anyone else think the last 2 are a bit crap? 3 of these films on Blu-Rays can be found in £1 Poundlands nationwide, however they have been in Poundlands for a good while now so not many left. Check your local Poundland to see if they have any left. I don't understand why these films were so popular. You could say that for 80% of new films released.